This is not my picture, but a poster on another forum has asked for ID and had no response after 2 weeks, and I know how you all love a challenge. Poster is from Torrox area. It looks like a Cynoglossum sp. to me. Agree with Brenda. In this area, probably Cynoglossum cheirifolium. I suspect that the freshly green leaves belong to some other plant(?). You are very knowledgeable, Brenda and Petrea. Judging by the images online. 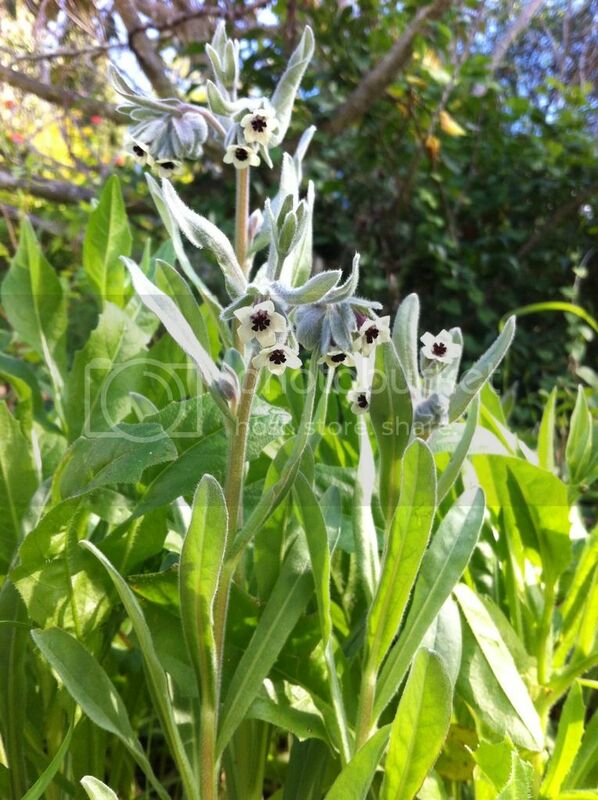 Cynoglossum cherifolium matches it. Thank you very much. I will report back.